With the welcome news that Madame JoJo's is due to reopen in 2018, burlesque in London is enjoying a revival. Flying the flag for a saucy striptease, the London Burlesque Festival celebrates its 12th birthday in 2018. Brought to you by the infamous King of Burlesque, Chaz Royal, the man behind the hilariously named 'Pavabotti - The Naked Tenor', the festival showcases the very best in burlesque, glitz, vaudeville and sizzling striptease. Taking place at Shaw Theatre, the festival opens and closes with glittering ceremonies with five shows in between by the winners from the World Burlesque Games as well as a Tattoo & Twisted Revue - alternative artists of the underbelly performing scene. If you crave suspenders, stockings, whips, lace, red lips, lascivious ladies, pert posteriors and a bit of a slap 'n' tickle then this is the event for your diary. What are the best dining options near London Burlesque Festival London? London Burlesque Festival gyms, sporting activities, health & beauty and fitness. The best pubs near London London Burlesque Festival. 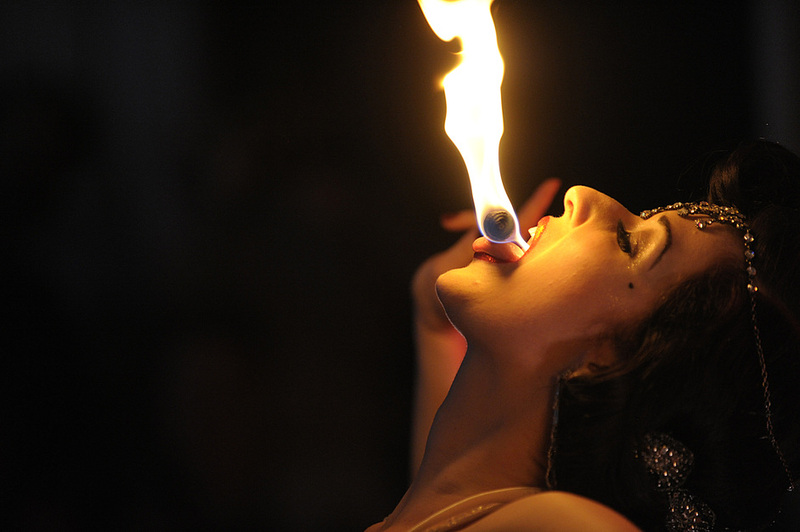 London Burlesque Festival clubs, bars, cabaret nights, casinos and interesting nightlife. Where to have your meeting, conference, exhibition, private dining or training course near London Burlesque Festival. From cheap budget hotels to luxury 5 star suites see our special offers for Shaw Theatre hotels, including Holiday Inn London Bloomsbury from 79% off.